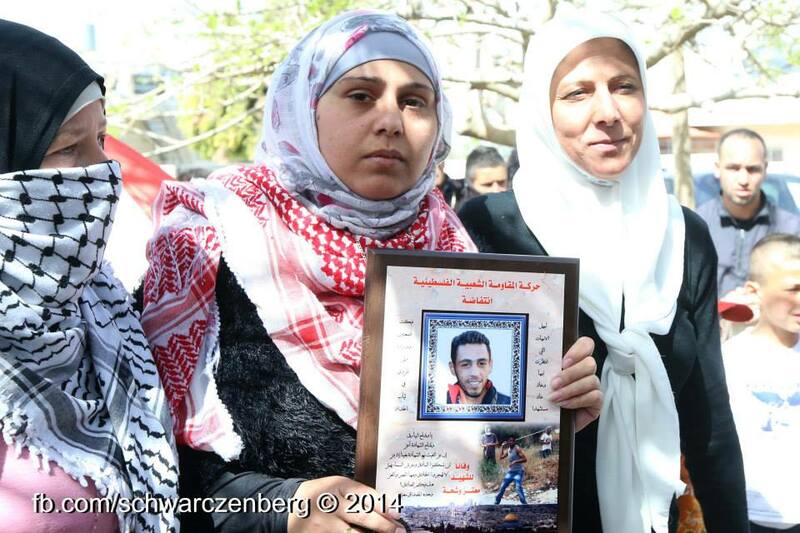 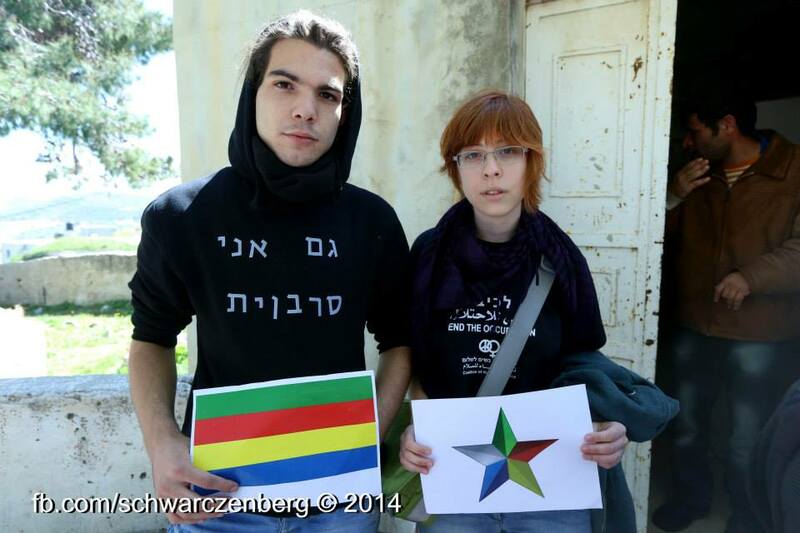 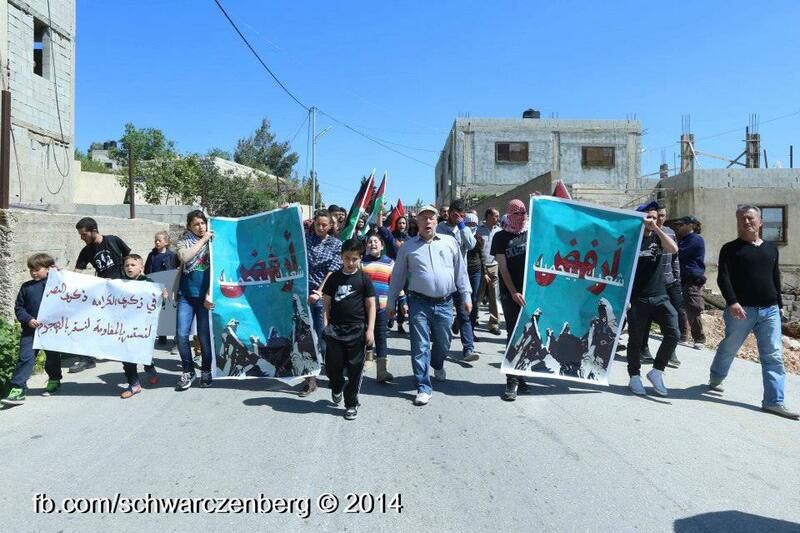 Nabi Saleh remember Battle of Karameh & march in support of Druze anti-draft campaign. 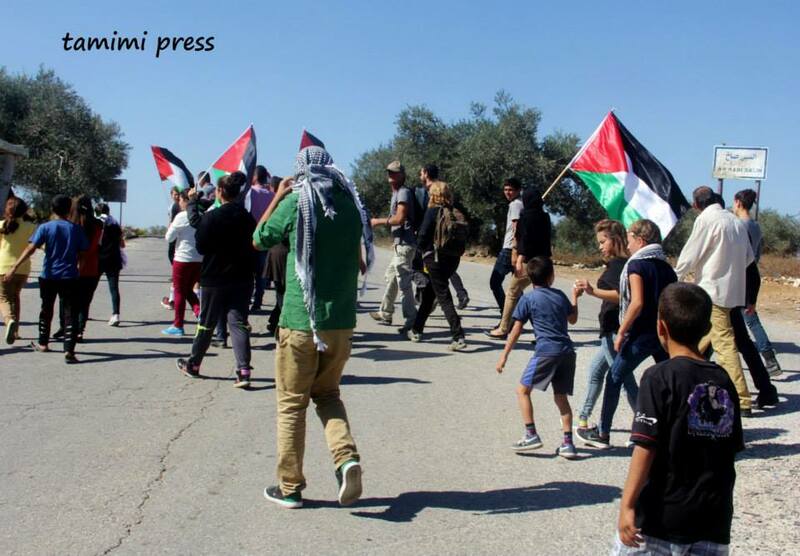 This Friday’s demonstration was titled “Palestine is our mother and our freedom is our dignity” commemorating mother’s day, as well as the 46th anniversary of the Battle of Karameh, in which the Fateh resistance fighters defeated the IOF. 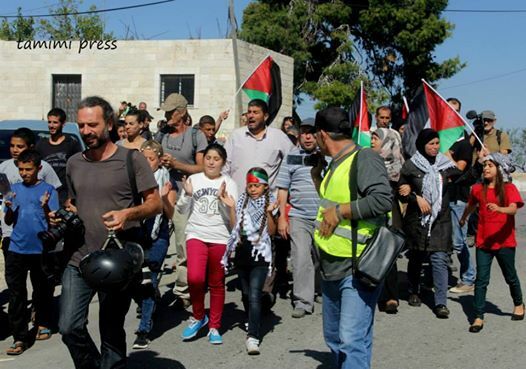 Palestinians, accompanied by Israeli and international solidarity activists, marched from the centre of Ramallah-district village of Nabi Saleh is solidarity with the jailed Druze draft refuser, Omar Sa’ad. 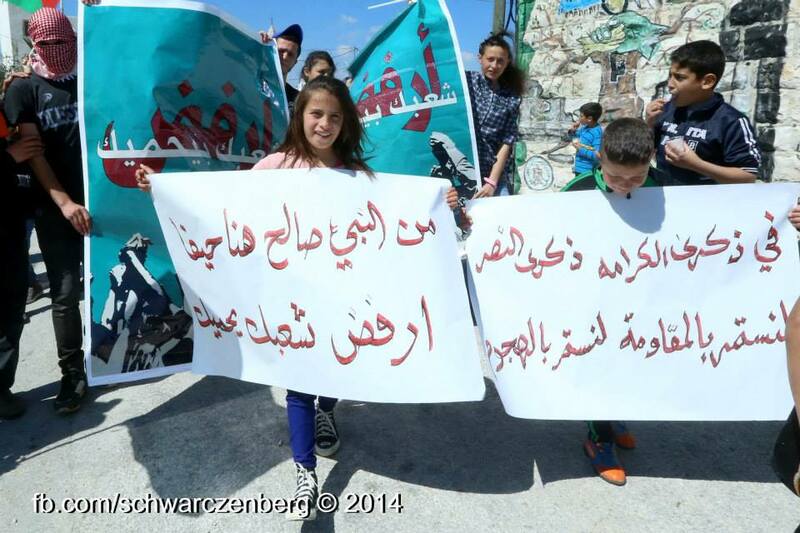 Protesters held banners and chanted slogans in support of the Druze anti-draft campaign and national unity in the face of occupation. 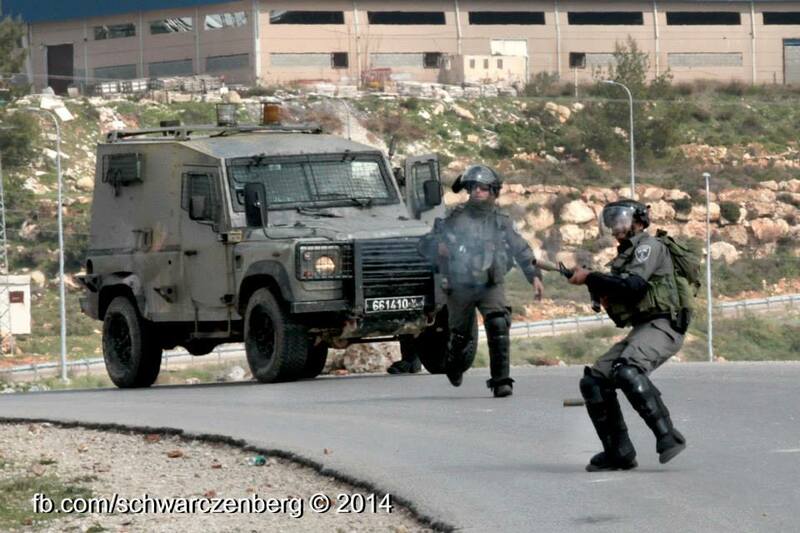 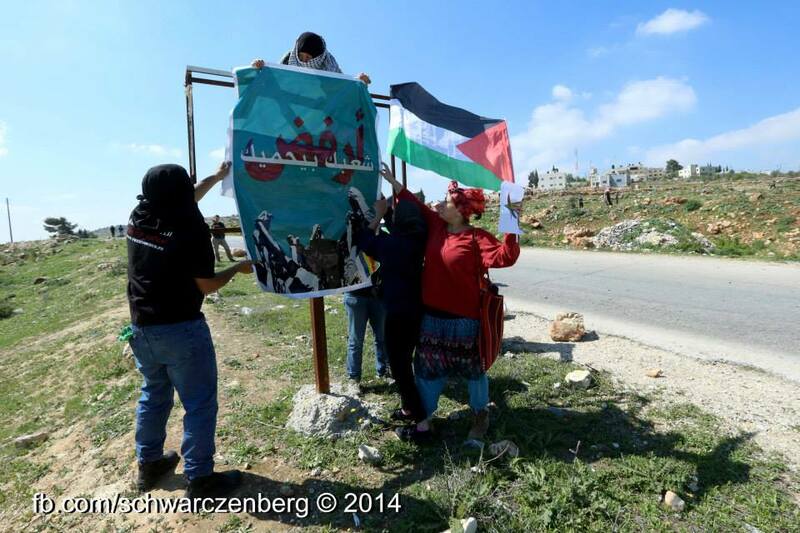 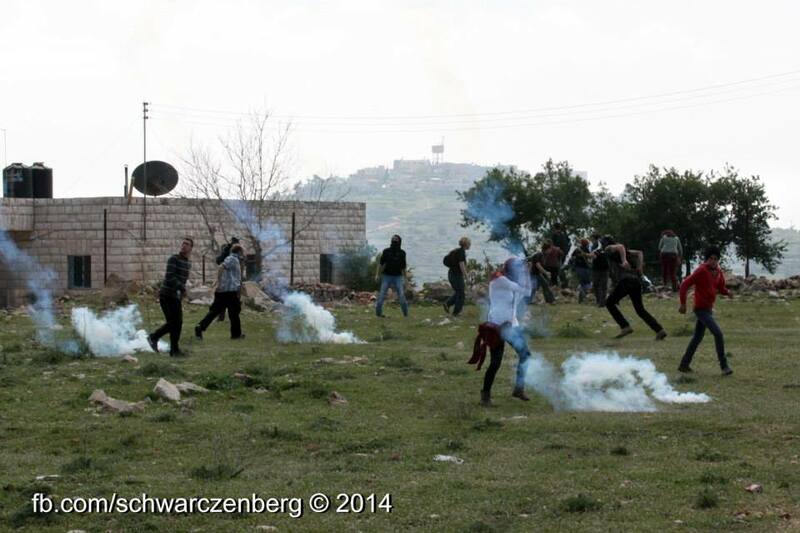 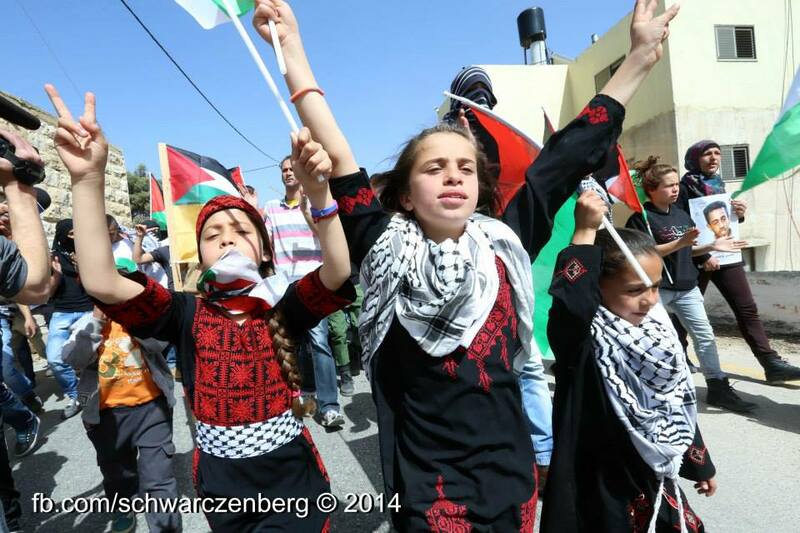 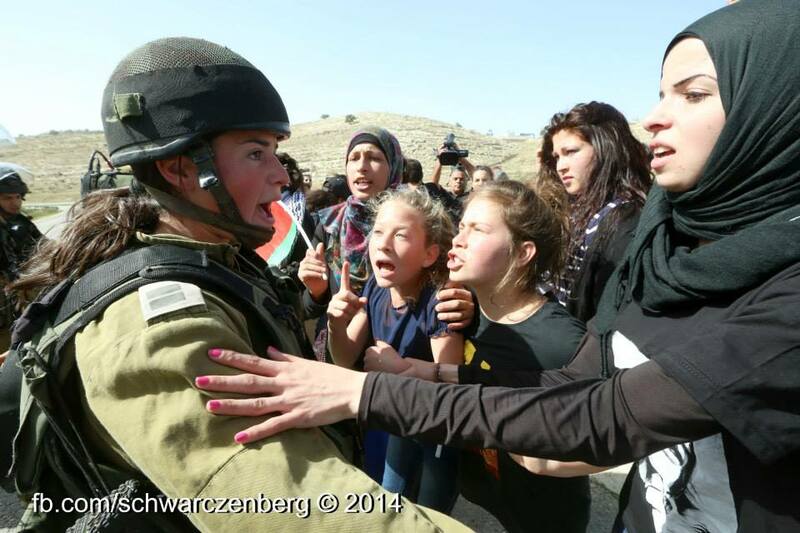 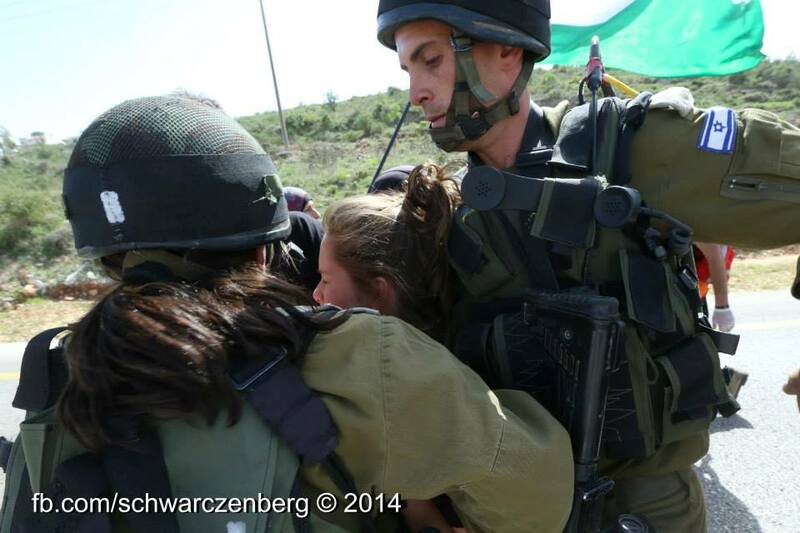 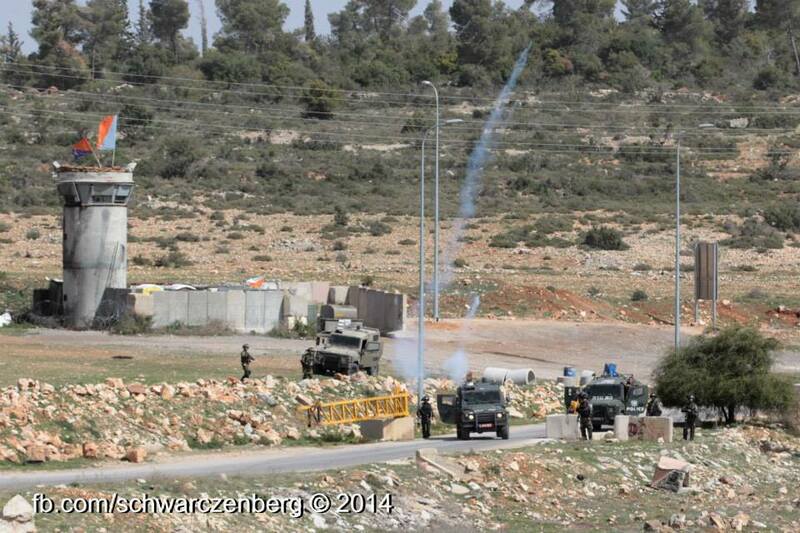 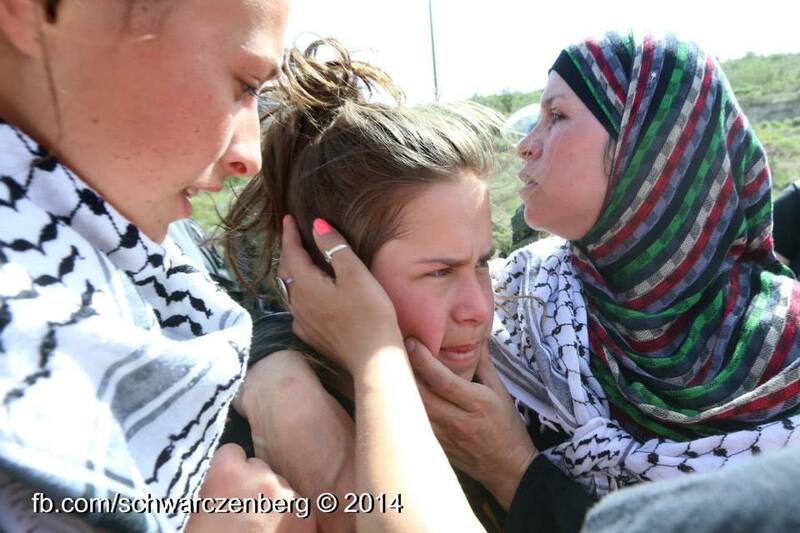 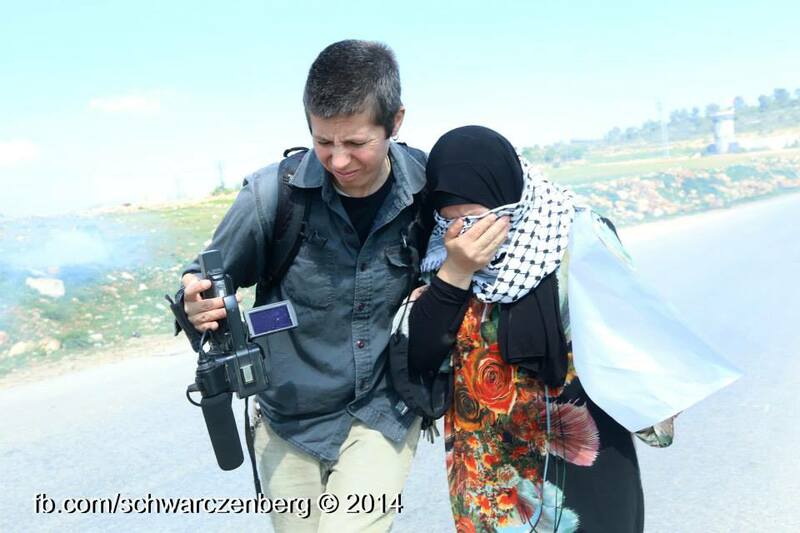 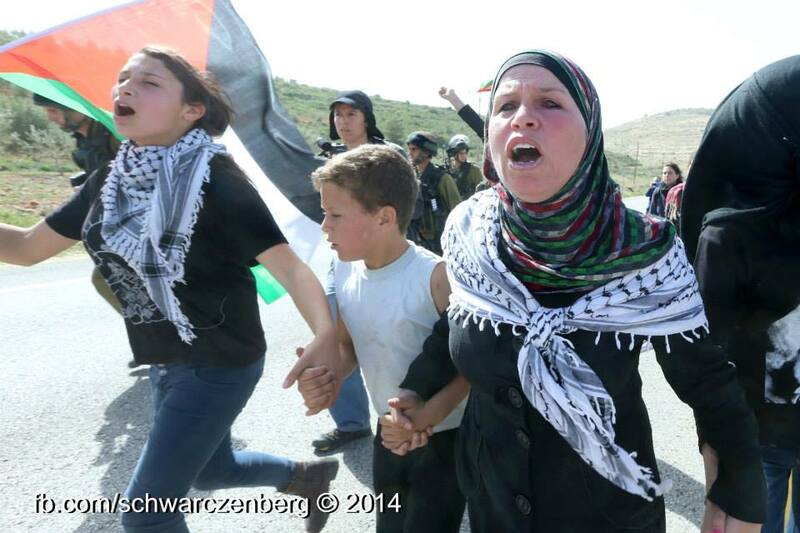 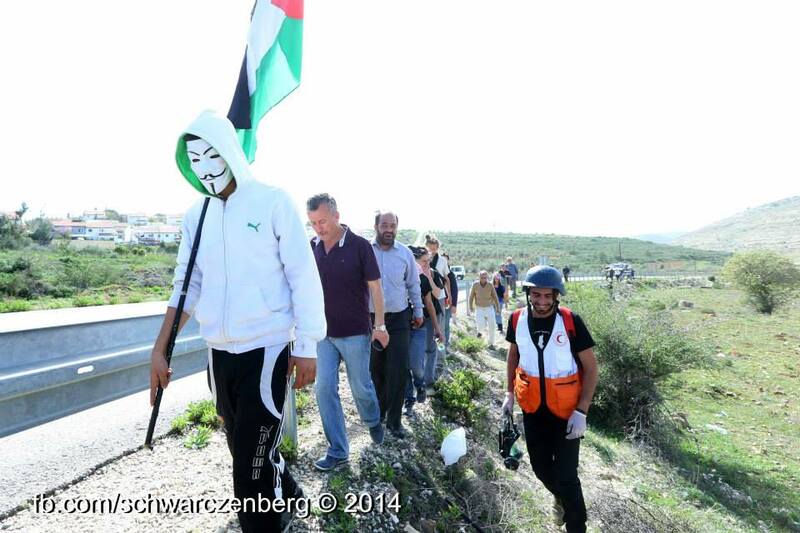 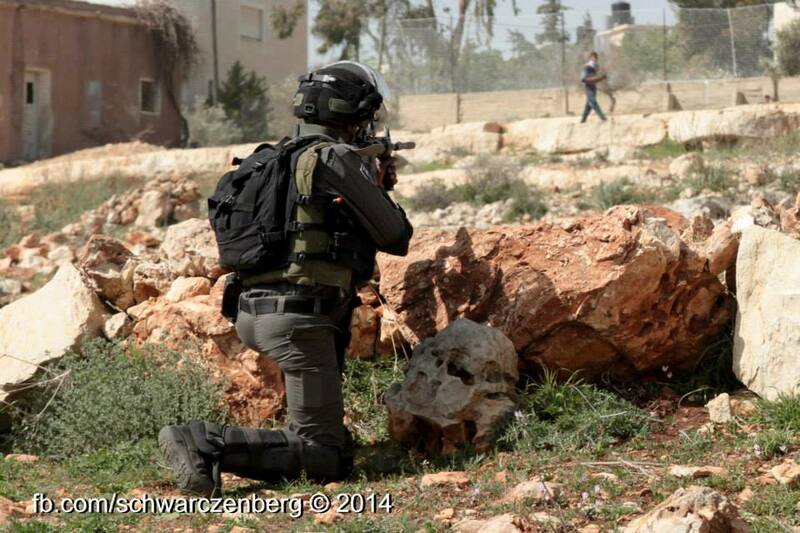 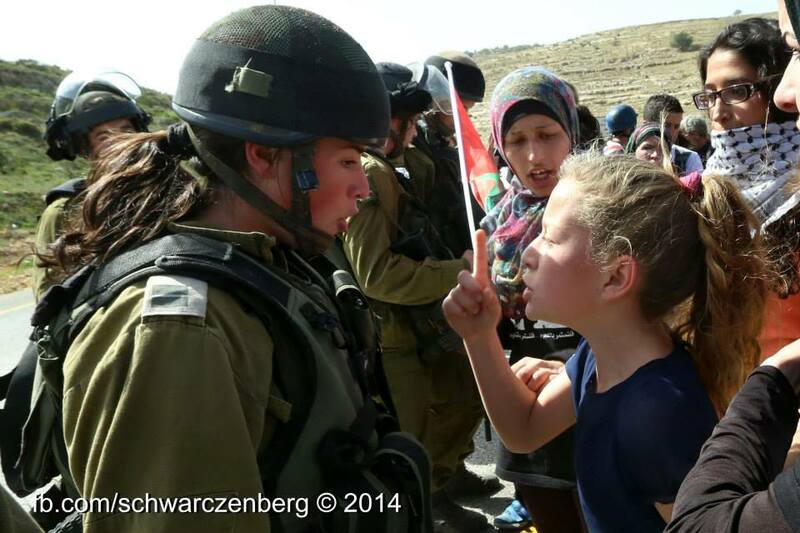 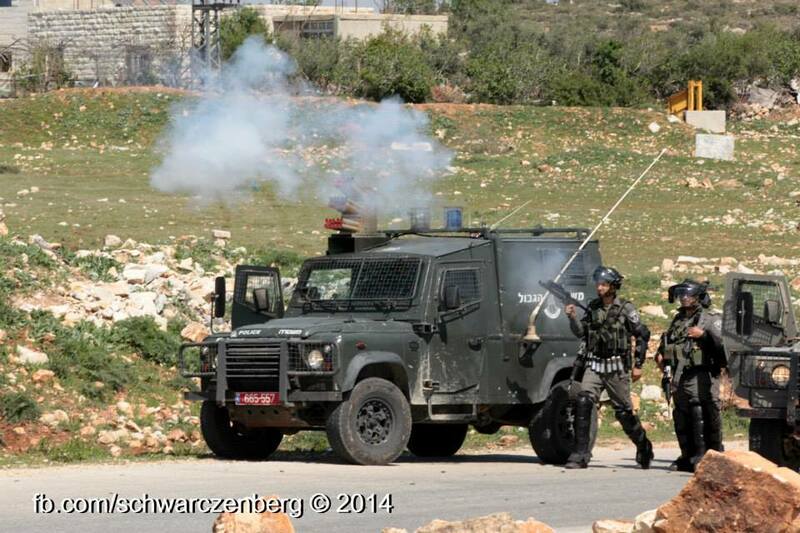 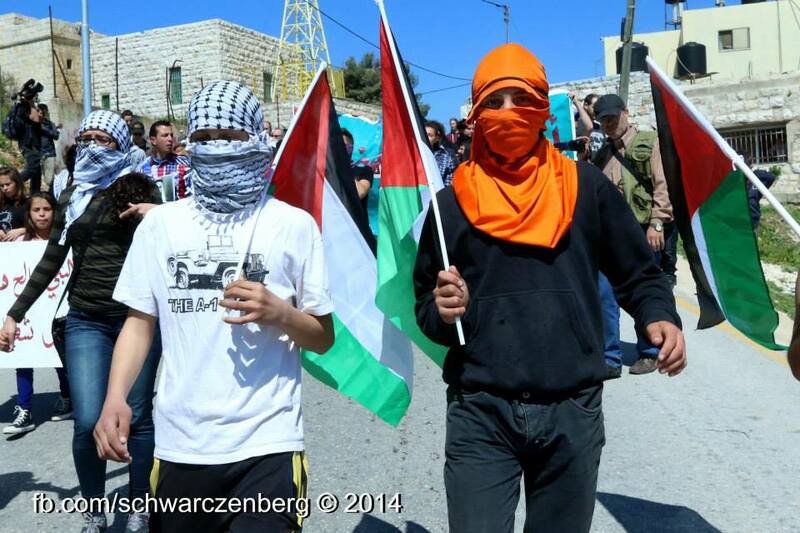 The IOF attempted to disperse the march with barrages of tear gas, rubber-coated steel bullets and stun grenades. 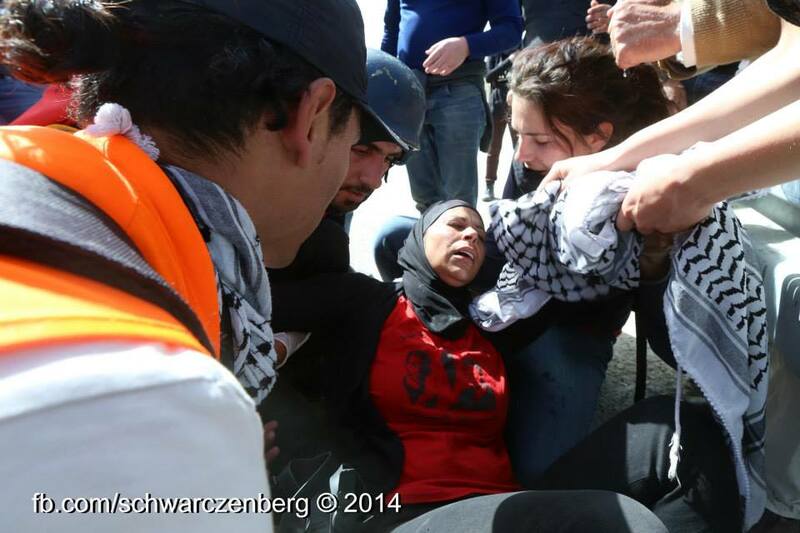 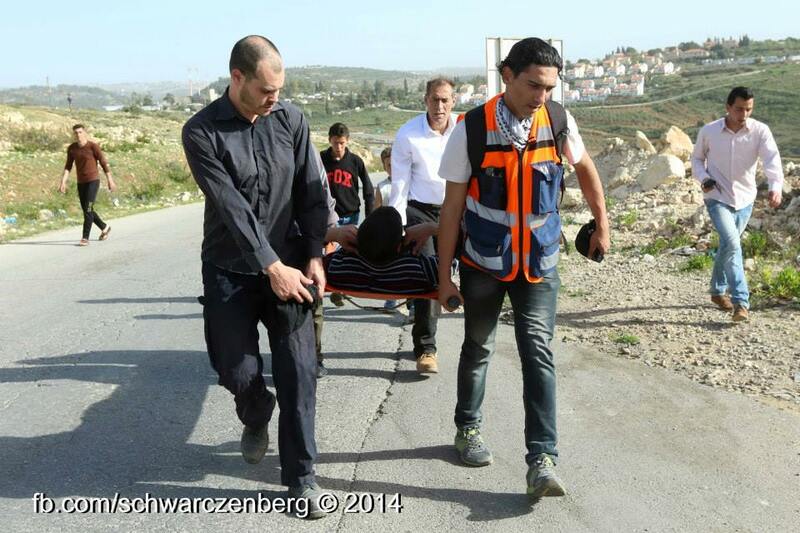 A medic suffered injuries from rubber bullets to his chest and leg and required medical attention. 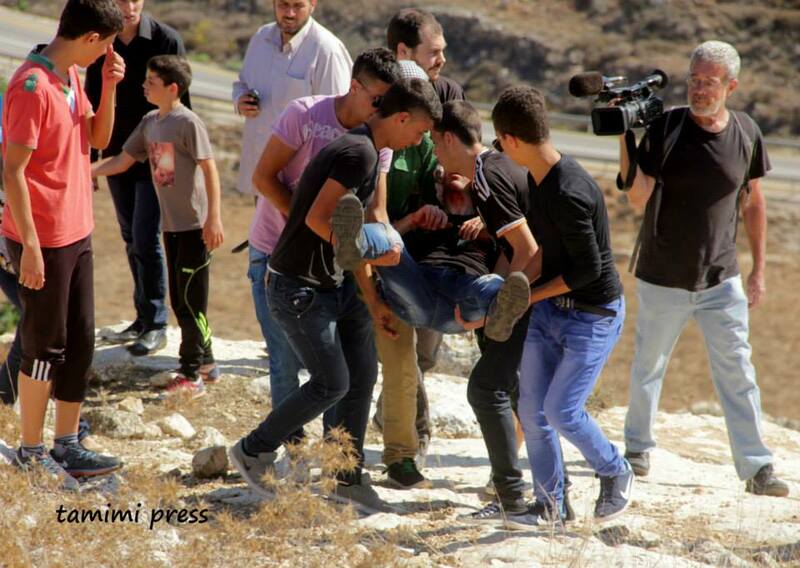 A few other demonstrators, including minors, were also injured from rubber bullets while other suffocated from tear gas.